Linde “term or line that separates some estates from others. The parcels that border the Granja Nuestra Señora de Remelluri belong to two of the most interesting wine-growing municipalities of La Rioja, Labastida and San Vicente de la Sonsierra. Some of the best winemakers of these two villages bring grapes to our winery for many years. 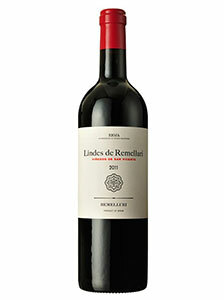 Since the 2009 harvest these grapes have been separated from the grapes of the farm and are destined to two new wines, “Lindes de Remelluri Vineyards of Labastida” and “Lindes de Remelluri Vineyards of San Vicente” thus two new wines are born reflecting these towns unique and different. Lindes de Remelluri is made in limited quantities, it is not a second wine, it is a wine with its own personality that tries to explain in a fresh and direct way the work of these families in their vineyards in their town. 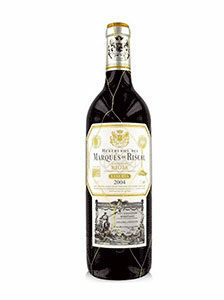 The quality of these grapes is exceptional and could be the origin of many of the great Rioja wines. Tempranillo, Garnacha, Graciano and Viura. Poor limestone terraces, of clay-calcareous nature, with a mother rock that emerges by zones. These terraces are made up mostly of sandstones and marls whose origin is in the Quaternary era. 100% manual in boxes of 20 kg. The harvest begins at the end of September / beginning of October and ends at the end of October. Selection in the field and table. 12 months in 225 liter barrels and 5000 liter french oak tubs.